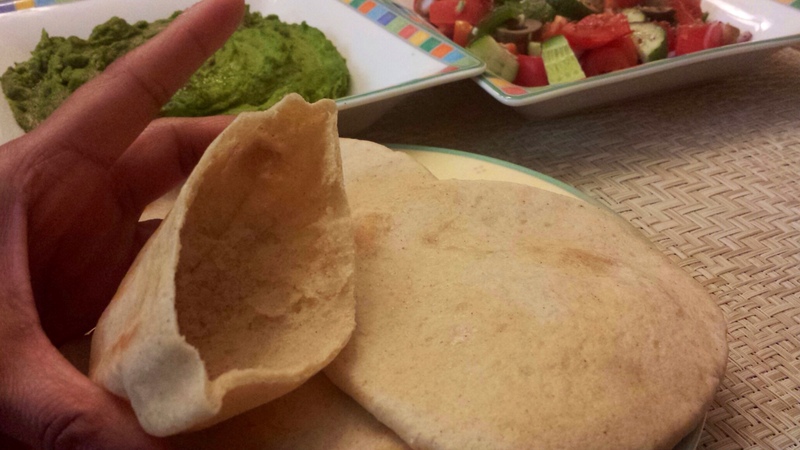 I’ve been often asked how to make Pita Bread at home, but due to its free availability here in NY…I dragged my feet about making it at home! However inspired by my friend Farrukh, I finally decided to give them a try! They were super easy to make & tasted so much better than the ready store bought…totally worth the effort of making them at home! 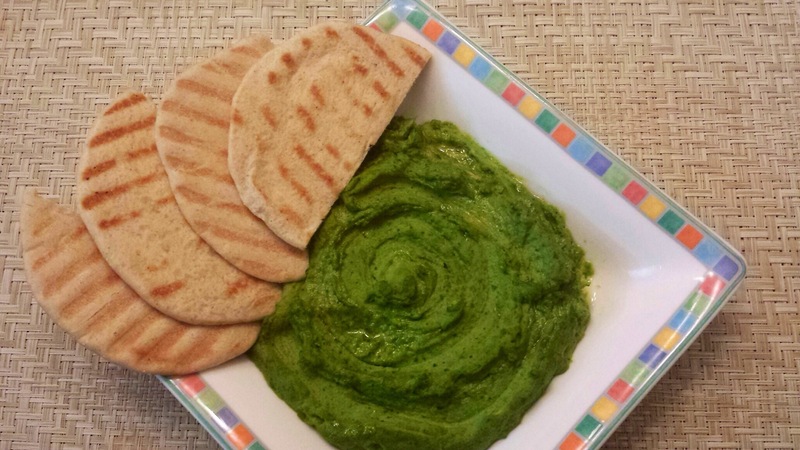 Below you see Grilled Pita Bread with a delicious & healthy Spinach Hummus! You can also fill the Pita pockets with falafel/kababs along with a drizzle of yoghurt tahini sauce! 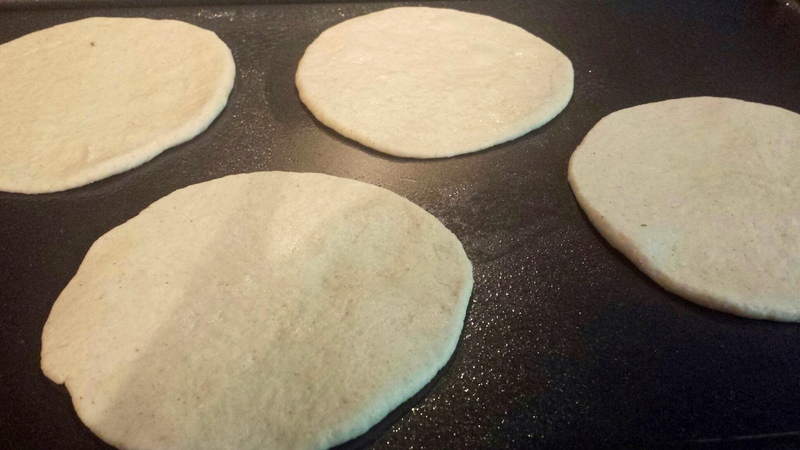 Knead together with warm water to make a smooth dough! Pat with about 2 tbsp oil and keep covered in a warm place till doubles, about 1 hour. Now preheat oven to 475 degree. Roll out small balls of dough thinly. Place on a greased baking sheet. Bake for 4 minutes, flip and then 3 minutes on the other side. 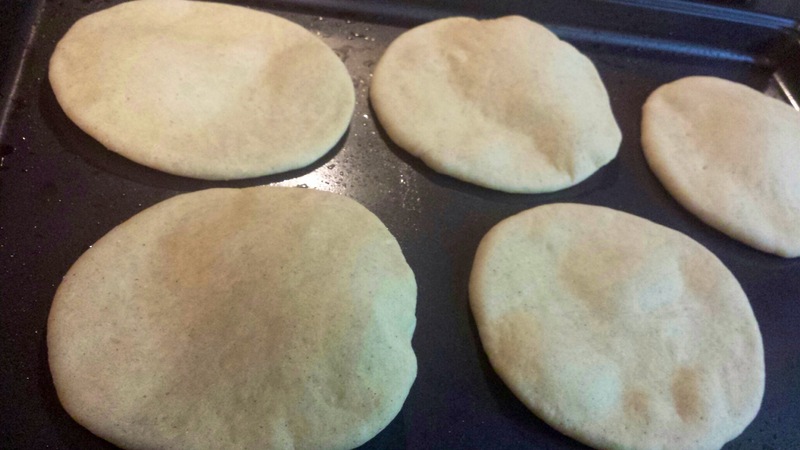 Hi, I don’t have an oven…so can I make these in a microwave-convection mode? I do not have experience with a microwave convection mode, but I guess you can! Whch type of yeast is bring used?? You will not get the same results. 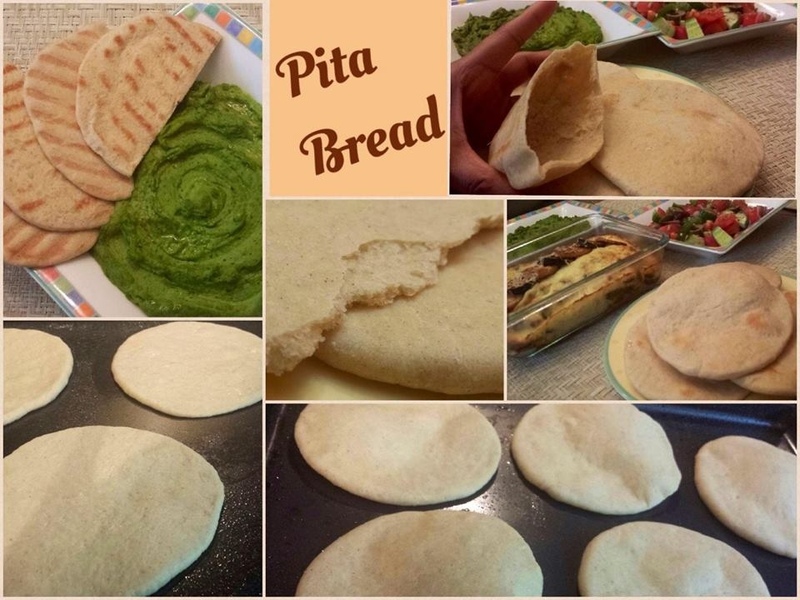 It will taste more like roti than pita. 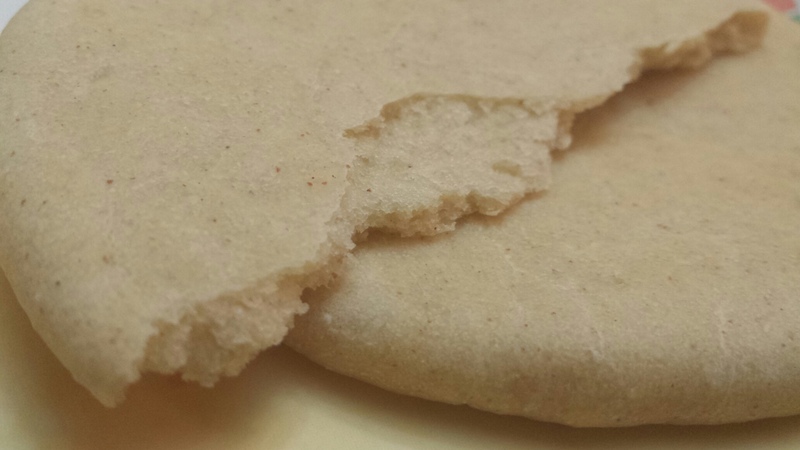 Using only wheat flour might not give you as good results.